Durbon one is not for serious commuters but, surely a good average bike for everyday ride and fun. It weighs 29 lbs., making it heavy for the single speed segment. 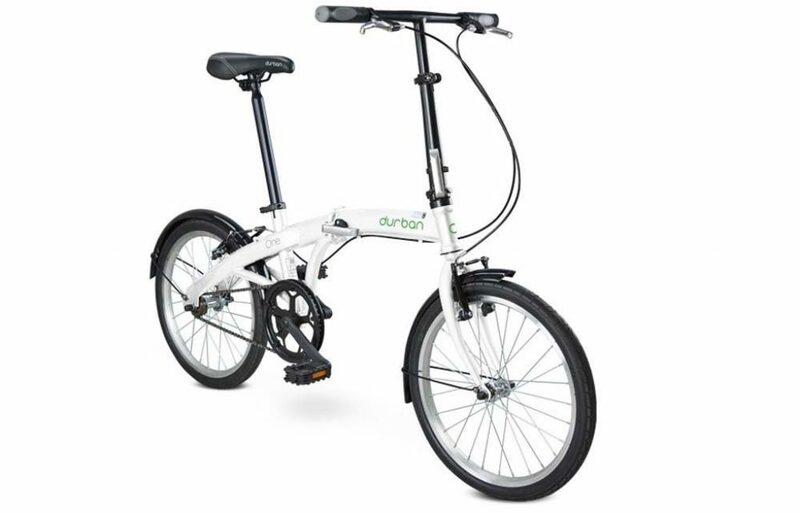 20 inch wheels are good, This folding bike with big wheels doesn’t make it an adult bike. The whole frame is high tensile steel, which explains the heavy part. Colors available in the market are grey, white, red and blue. When folded, the dimensions are 6″ x 13″ x 31″inch. Mudguards are present when you buy the bike. This is your durable average bike. When you ride this bicycle, you will find that it is shaky and some vibrations are there. The single speed gear has no complications and maintenance cost. So you can ride this thing for coming years without any difficulty. The frame is solid, and when I used it on concrete road, it was responsive, and ride well. The bike is made for flat road, not for the rough ones. 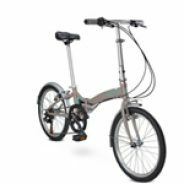 This is not commuter bicycle, but surely a good foldable bicycle. While riding, when applied Alloy V- brakes, it stops after a while, the jerk was there, but it stopped right after some time. The grip is the tire is good, on flat road, the cycle runs smooth. The saddle is comfy. In such a budget, this is a great deal. Being not a commuter bike, just pick it up, and ride to the town, city roads, anywhere. Bike is very smooth on the flat roads. The parts are also of good quality, making it a low maintenance bike. This bike is particularly for kids, boys, adults who don’t want any serious type foldable bike, just for the fun part. Basically, the ones who don’t have much need from a bike, who can be satisfied with simple and strong bicycle. 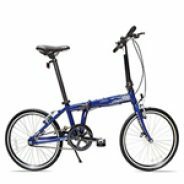 The folding capabilities of this bike is great, and it won’t take you more than 20 seconds to fold it up.